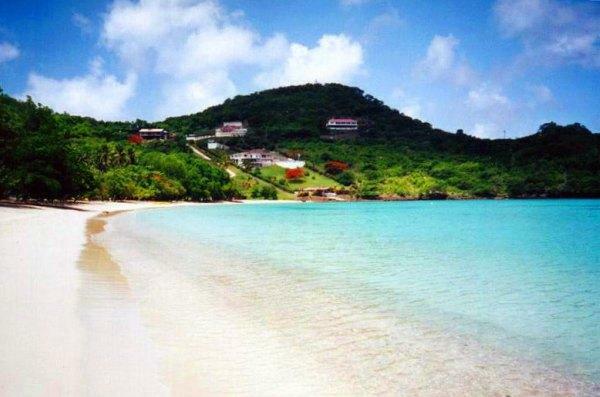 Morne Rouge Beach in Grenada is a must see. We happened upon Morne Rouge while investigating Grand Anse Beach. We were told that Morne Rouge was well worth a visit. Boy, were they right. The water here is so clear – you’ll be able to see bottom when you’re up to your neck. That’s cool. 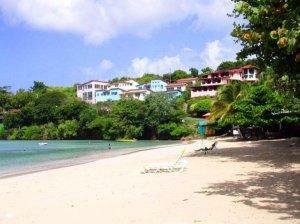 Located south of the best beach on Grenada, but not to be overlooked, Morne Rouge Beach is smaller. Since the cove is not as open as Grand Anse Beach, the water is calmer. 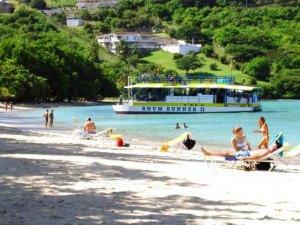 This beautiful Caribbean spectacle is also more secluded (read romantic). With only one hotel on the beach, you’ll find Morne Rouge Beach great for getting that book read while taking in the rays, or just relaxing in the Grenadian sunshine. Because of the smaller than usual cove, Morne Rouge Beach bay is somewhat shallower than other beaches. As a result, the water here is always slightly warmer. Taking the kids? This is the ideal beach for families because of the fact that it is shallower, warmer, and mostly calm. As a matter of fact, so calm on many days you can see right to the bottom with crystal clear waters. But what about that romantic quip? Morne Rouge Beach is big enough for families and couples, but small enough to make all the other factors happen as well (warm, calm water). Take in the ocean and the beautiful Grenadian hillsides as you enjoy your time on the island. This is one stop you will remember for years to come.